When it's time to pick a pair of stud earrings with a floral motif, look to the Roberto Coin Princess Flower collection. 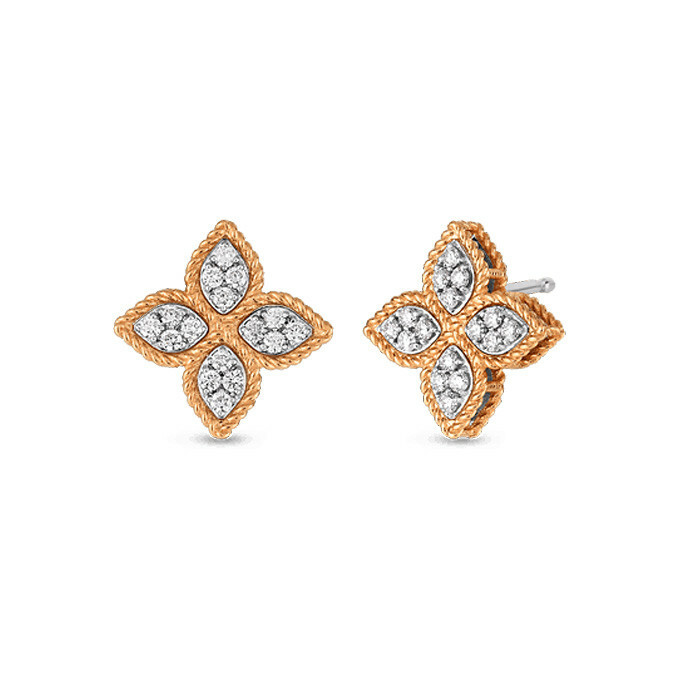 This pretty pair, crafted in 18K rose gold, feature four petals with four diamonds in each marquise-shape trimmed with precious metal rope. The gems are set in 18K white gold, the better to showcase their brightness. These Roberto Coin studs are the perfect accompaniment to virtually everything in your wardrobe, while the warm gold tone complements just about every complexion.